How much time (and how many clicks) have you, or members of your team spent fiddling with the layer popups of your Web Maps? If it’s more than just a minute or two, you may be missing out on a much better method of doing so! If too much of your time and attention has been invested in your web maps’ popups and you would like a few tips to streamline this management, we have you covered! 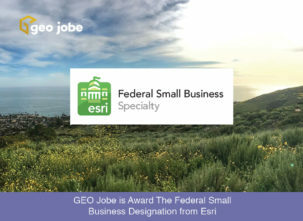 With Admin Tools for ArcGIS, you have access to an entire suite of tools, some of which specifically address web maps popups. Managing your popups begins with being able to easily access all your relevant web maps. 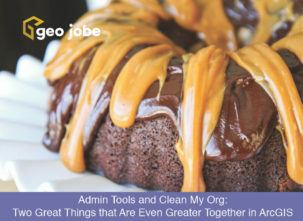 For those not familiar with Admin Tools for ArcGIS, we make sure that nearly all of our tools begin with a very intuitive and user-friendly list-view. This view allows the Administrator to sort by and add multiple filters to the platform’s content. Since our tools are designed to make changes to your Items, Users, and Groups in bulk, this type of list is absolutely invaluable for querying exactly what you need. One of the dedicated tools we have for popups is the Enable/Disable Web Map Popups tool. This tool performs a simple, but very time-saving operation by bulk enabling or disabling the popups for the layers in the web maps of your choosing. Just select all the web maps you want to apply the changes to, choose the “enable” or “disable” option, click ‘Done’, and say goodbye to having to manually and individually manage the popups for all the layers in your Web Maps! While the guide shows how to to change the popup in code, you can use the same formatting rules to tweak the content window in the JSON content string. And, of course, we always recommend making a backup as best practice before making any edits. Worst case scenario, if things don’t format correctly, you can import the original JSON back. Importing and Exporting from JSON is a great way to backup the formatting of your items in general. Again, making edits to the JSON using our Import/Export Tools is recommended for the Administrators with advanced knowledge of the API and formatting of the content in question.